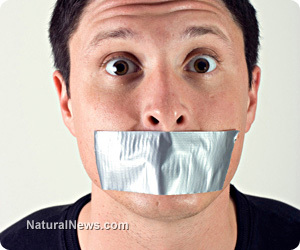 (NaturalNews) In response to growing public dissent against the federal occupying powers, Senator Charles Schumer (D-NY) has sponsored a bill known as S. 987, or the Free Flow of Information Act of 2013, which will purportedly protect news reporters from being harassed or otherwise maliciously compelled by the federal government to disclose information about their private sources -- this is, after all, how honest media outlets are able to keep the government in check and act as whistleblowers when necessary to shine the light on corruption. But Sen. Dianne Feinstein (D-CA) has successfully added an amendment to this Trojan Horse bill that strips these protections from the alternative media and others she deems as not being "real reporters." The online free speech and privacy group Electronic Frontier Foundation (EFF) notified the world about Sen. Feinstein's initial attempts to shred the First Amendment to the U.S. Constitution as it pertains to honest media members back in August. In a report entitled "Why Sen. Feinstein Is Wrong About Who's a 'Real Reporter,'" EFF explained how Feinstein was pushing for an amendment to S. 987 that would limit freedom of the press protections only to "regular" journalists, at the exclusion of independent journalists, citizen journalists and others who do not meet her accepted criteria. "Her amendment ... not only retains the problematic requirement that a person 'regularly' engage in journalism to enjoy shield law protections, but moreover adds new requirements that would make it especially difficult for self-publishers such as independent bloggers and citizen journalists to be protected under the law," writes Morgan Weiland for EFF. "Indeed, her new requirements for being either salaried or at least affiliated with a news 'entity' seem to purposefully target these self-publishers." This is hardly surprising, as the targets of Feinstein's discrimination are among the only legitimate journalists, at least in the U.S., still willing to call her and other traitors out for their treasonous actions against American citizens. Feinstein, after all, is the same tenured senator who has repeatedly pushed to confiscate people's firearms and put unconstitutional restrictions on ammunition purchases, for instance, not to mention her ongoing role as co-conspirator in destroying American patriot and hero Edward Snowden. It is no wonder, in light of all this, that Feinstein is now aggressively working towards censoring those who have enough gall to actually call her out publicly for her longstanding legacy of violating her oath of office and betraying the American people, even when doing so could get them labeled as a dissenter or even a "terrorist." And Feinstein is further showing her true colors right now by trying to stamp out the only beacon of truth that remains -- independent journalism. "Feinstein's amendment effectively advances a traditional vision of journalism through the three definitions of journalist that it provides, each of which requires that a person be affiliated with a journalistic 'entity' or institution (including news websites and other digital news services, and other periodicals distributed digitally)," adds Weiland, noting that none of the vague terms in Feinstein's amendment are properly defined. "The very fact that developing a crisp, clear definition of journalist is difficult should signal to Congress that it might not be equipped to wade into the uncharted waters of deciding who is a journalist. But it's a problem that Congress can easily avoid by linking shield law protections to the act of journalism, not the definition of who is a journalist," concludes Weiland.